We are excited to announce that Dr. E. Lisako McKyer has recently joined the CCHD team as the new Research Development Director. Dr. McKyer has been an affiliated faculty member of CCHD since 2006 and has also served as the Center’s Co-Director of Evaluation. In her new role, half of her time will be devoted to the Center, where she will direct efforts to obtain external research funding that aligns with the Center’s research focus and supports the research interests of faculty, research staff, and students affiliated with the Center. 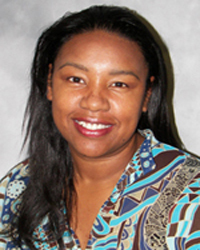 In her remaining time, Dr. McKyer will serve as Associate Professor in the Department of Health Promotion and Community Health Sciences, where she will teach and mentor students and conduct research through her Transdisciplinary Center for Health Equity Research. Please join us in welcoming Dr. McKyer!